Trav 21.5" foldable auto. 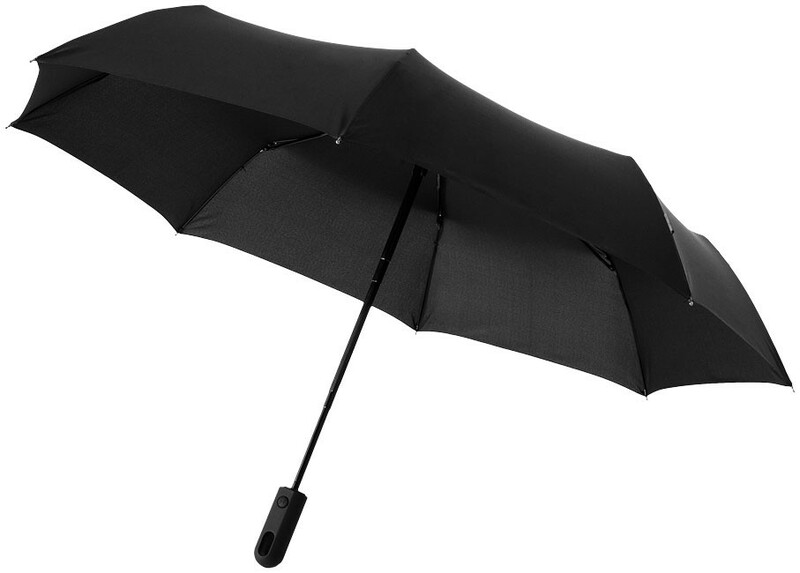 open/close umbrella. 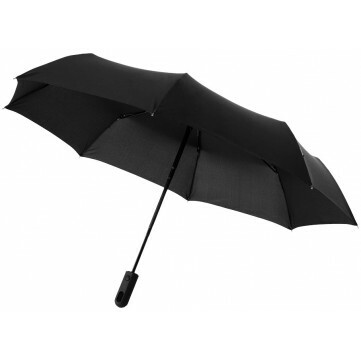 Exclusive design automatic open and close 3-section umbrella. 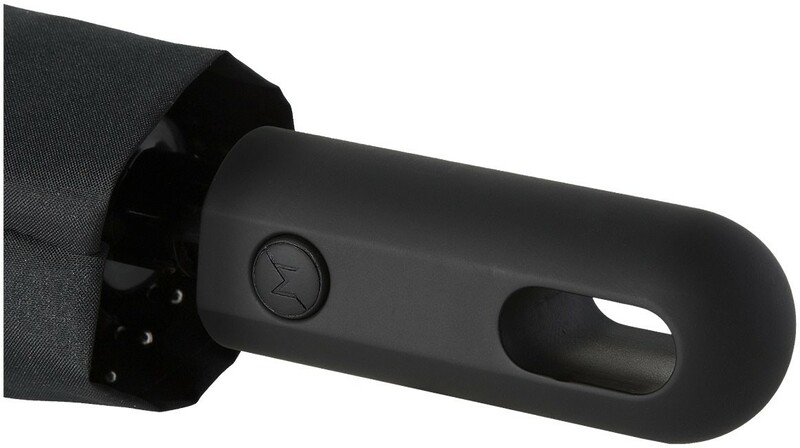 Metal black shaft, fiberglass ribs and rubber coated plastic handle. Supplied with matching canopy colour pouch. Folds up to 31cm. Pongee polyester.